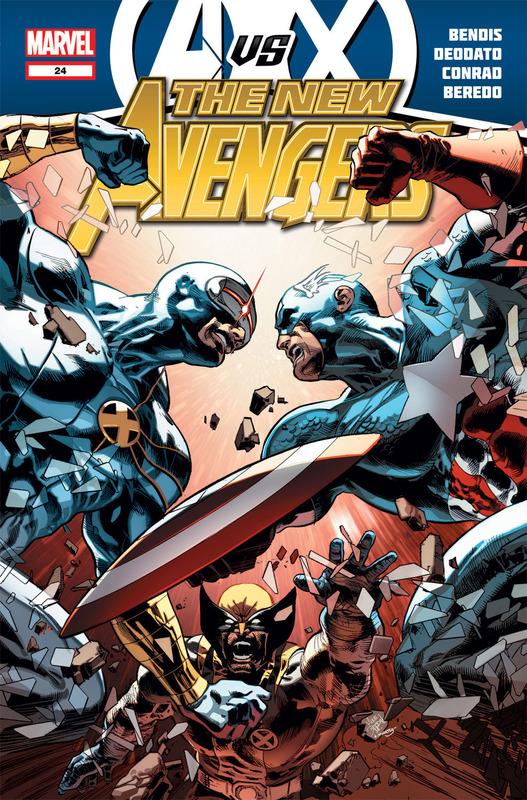 The first comic with the honor of tie-in status for Avengers vs. X-Men is the Luke Cage led New Avengers. 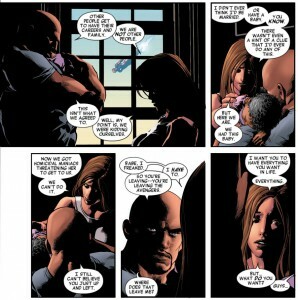 The story begins moments before the end of Avengers vs. X-Men #1, but quickly transitions to a short time before the conflict to wrap up some loose ends concerning Luke Cage and his family. 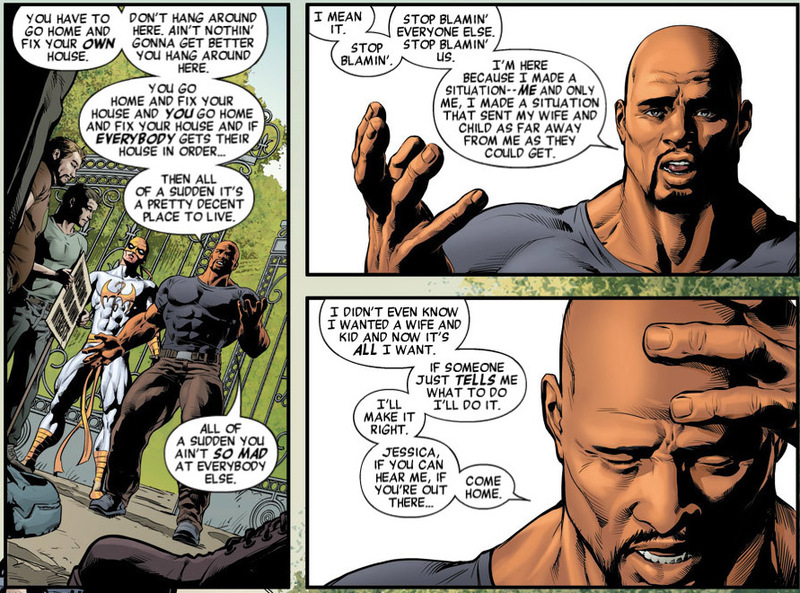 The comic ends by jumping back to the present and Luke Cage leading a charge into battle. Brain Michael Bendis handles the writing really well and tells a strong dramatic story about the leader of the New Avengers. While there is no action in this book, it still moves at a good pace. However, calling it a “tie-in” book feels wrong. 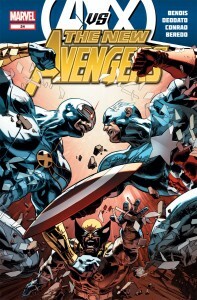 It does not push forward the story of Avengers vs. X-Men, but that is more of a marketing issue than a writing issue. The character designs are well done and the general aesthetic of the issue is nice. It would have been nice to see some action in this book, but there is plenty of time for that during the event. 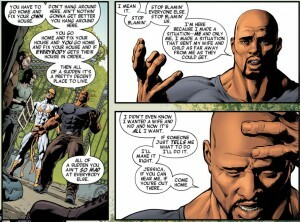 The book has some good moments and is a well done Luke Cage dramatic story with some nice visuals. Even if you are trying to keep up with every tie-in to Avengers vs. X-Men you can skip this title as it adds very little to the overall story. However, if you are a fan of the New Avengers then this will be a great addition to your collection as it ties up the story for Luke Cage and dissolution of his family. If you have not been keeping up with New Avengers then this story will lose much of its impact. This is a story only for New Avengers fans. Hopefully the other tie-in books will tie-in better than this one.